Whether you need a new boiler installing, a burst pipe fixing or your central heating system servicing in Liverpool, Barry Ward Ltd are who to call. We specialise in a wide range of services, offering skilled work at competitive prices to all homes and businesses. We offer 0% finance for new boilers and central heating systems and also offer finance up to 10 years. For plumbers in Liverpool, contact us now! Neataheat have years of experience in installing and repairing all types of central heating, boilers and heat pumps. We also specialise in oil, gas, solar and even ground source systems. 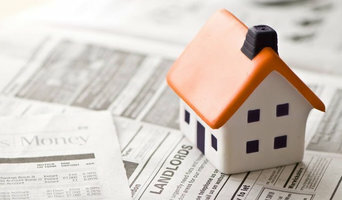 We provide our services to commercial and domestic customers across Chester, Wrexham and Shropshire. We offer a excellent service and make sure all work is completed to the highest standard. 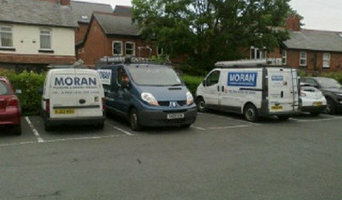 Hi my name is John Moran and I run Moran Plumbing & Heating. We serve customers in and around the Liverpool area including Merseyside, Liverpool and West Lancs. If you're looking for a friendly, reliable and professional local Liverpool plumbing company, we cover all aspects of plumbing, heating, gas & ventilation work. We're Gas Safe and guarantee our work. Call us for a free quote. AR Johnson Plumbing & Heating have been established since 2009, and are the leading plumbing and heating service providers throughout the North West of England. We are a small business who pride ourselves on our efficiency, alongside the top quality of our workmanship. Our friendly and personal service is why customer choose to come to us over and over again. SNAP Plumbing and Heating's staff are known for being punctual, respectful, for their depth of knowledge and for being willing to go that extra mile for our customers. We do our best to be clean and tidy and we'll always take the trouble to explain what we're doing and why. Our prices are fixed for straightforward works and we'll always provide a prompt estimate if we discover that additional works are required. For larger jobs, we'll want to come and visit the site and discuss your requirements to provide a free no-obligation quote. A failed heating system or a damaged boiler is a source of worry and panic. And yet these are just but some of the minor plumbing problems you can face in your home. One of the options you have when confronted with such issues is to call Plumbers Wirral. At Plumbers Wirral we offer nothing less but professional and quality plumbing services. We have plumbers and gas heating craftsmen to attend to both emergency and routine plumbing problems. We are best known for our prompt services. We provide plumbing and heating emergency services in less than an hour from the time of the call. Over the years, we have gained not only experience but proficiency in the delivery of our plumbing services. Our team of professional Gas heating fitters and plumbers can handle all plumbing work; no job is considered too small. If it is not working, then we can fix it.You should, therefore, hire a company such as A.S.Plumbers Wirral. who will respond quickly and will help your situation before it gets out of hand. We are the right team for all your plumbing needs. 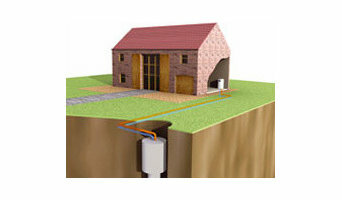 Assured Heating Solutions are a local gas engineer in Liverpool and also the surrounding areas. We offer services in domestic plumbing, heating and gas related work. Whether it’s new boiler installations, boiler servicing, boiler repairs, gas fire servicing, gas fire repairs, landlord gas safety certificates and gas leaks, we have you covered. Please call to reserve your appointment. 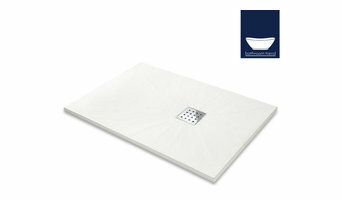 All small jobs covered like dripping taps, leaking toilets, blocked sinks and waste pipes. We’ve worked in the plumbing and heating trade for over 15 years and strive to keep our customers satisfied so make sure you call us today for a free, no obligation quote. Wirral Heating are experienced and skilled central heating engineers in Wirral, also servicing the wider Merseyside area. In addition to central heating, Wirral Heating also offer plumbing in Wirral and can even fit your new bathroom for you. As certified installers of Vaillant boilers in Wirral, and also accredited Worcester boiler engineers, Wirral Heating can help ensure that your home is lovely and warm this winter while you can be safe in the knowledge that we know what we are doing. Find out more about our credentials as certified Worcester boiler engineers and also certified Vaillant boiler engineers by visiting the relevant pages. We offer boiler servicing, central heating installation and other services associated with your home’s central heating system. If your boiler or central heating develops a problem, we are happy to come out and repair it. If you need a plumber in Wirral, then we can help you with that as well. Wirral Heating have many years of experience when it comes to plumbing, and have been offering plumbing in Wirral for more than five years. Liverpool’s premiere plumbing and heating company, Regain Heating Solutions Ltd, was founded by Michael Mulrooney, a second generation in a family of gas specialists, Richard spent 15 years working as an engineer for leading heating companies before creating his own company. His efficiency, his polite and friendly nature, and his extremely high standards of professionalism very quickly earned him an excellent reputation in plumbing and heating services. He soon built up a customer base of loyal clients through word of mouth recommendations and direct referral through networks like the BNI. 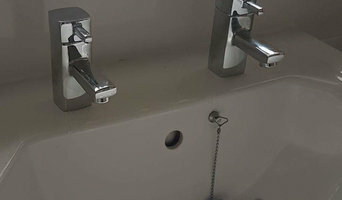 Plumbers in Liverpool, Merseyside can do more than just fit sinks and fix toilets; for any water or gas fixture there’s a plumbing company that can repair, install or even design it for your home. In the kitchen, you’ll need local plumbers to hook up your sink, dishwasher and washing machine to the main water supply and the drainage pipes, and they may be able to help with waste disposal units, gas hobs and plumbed-in fridges that dispense ice and water. In the bathroom you should hire Liverpool, Merseyside plumbers to install your main bathroom fixtures – showers, baths, sinks, toilets and bidets. Plumbing companies and heating engineers can also install towel radiators, shower body jets, bath spas and possibly underfloor heating. Plumbing doesn’t have to stick to the kitchen and bathroom, either. Plumbers can install water taps outside for hoses and sprinkler systems, or you may want outdoor water features, such as a fountain, pond, pool, hot tub or shower; all of which you can talk to Liverpool, Merseyside local plumbers or plumbing companies about. You may find that you need a plumber to work with a tiler, kitchen designer or architect so that your whole redesign can come together seamlessly. Here are some related professionals and vendors to complement the work of plumbers: Main Contractors, Septic Tanks & Sewage Systems, Kitchen & Bathroom Designers, Kitchen & Bathroom Fitters. Find local plumbers on Houzz. Narrow your search in the Professionals section of the website to Liverpool, Merseyside plumbers and plumbing companies. You may also look through photos of Liverpool, Merseyside projects to find a plumber who has worked on a project similar to yours.